Not too long ago, I interviewed Jeff Robbins, CEO of Lullabot about Drupal, and the powerful websites being built with it. Since then, Communicate.io, my marketing agency now into year 10, has become partners with Lullabot to utilize and find expertise for our own customers suited for Drupal integrations. 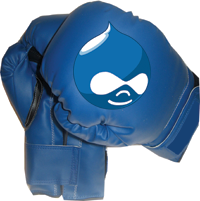 Many agencies and web developers choose to support either one or the other, Drupal, or it’s commonly associated competitor, Joomla. We happen to do both, seeing their individual strengths and staying flexible for our clients. Having a difficult time choosing? Here are some recent reasons for using either. Submitted by Lisa Padilla (not verified) on June 25, 2010 – 1:04pm. Apples and oranges/pears/pineapples, whatever you want to call it, Joomla and Drupal each have different structures and expansion requirements. I think it depends on which add-ons/modules/additional functionality are required for the website. 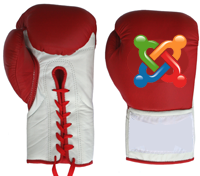 Some Joomla suites of software are just the right thing. If something essential is missing and a client must stay on Joomla, a CSS specialist is needed, not just someone who can figure out Joomla. Once the CSS is tight, a relatively technical marketing resource could realistically manage the site. I have seen Drupal stop companies in their tracks once they realize they can’t figure it out with their existing IT, or worse yet marketing, team. So, you hire an (expensive) Drupal specialist who brings you up-to-date, but then need to rely on them to upgrade or implement a new module. By writing a full-featured description of your desired website functionality before getting started, and assess the skills of your internal team before starting with either. This entry was posted in new media, social media, social networks, software, technology and tagged comparison, drupal, drupal 6, drupal 7, joomla, joomla 1.5, version. Bookmark the permalink. Describe lisap in three words!